According to demographic data provided by Council of Indigenous People (2015), there are totally sixteen indigenous groups in Taiwan. 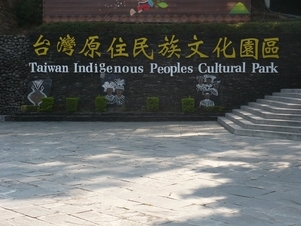 The total population of indigenous groups amounts to 546,218, which approximately 2% of the total population of Taiwan. Taiwan has been regarded as the origin of the entire Austronesian family (Adelaar, 2005; Lee, 2004; Pawan, 2009). Formosan languages, one of the branches of Austronesian family, are the main languages of Taiwanese indigenous peoples (Blust, 1999). When Taiwan was occupied by different colonizers, such as the Dutch, the Spanish, the Japanese, and the Chinese, indigenous languages had never taken priority in the national education system. In the Japanese era, the government emphasized the importance of education in Japanese under the assimilation policies. After World War II, the KMT government (The Nationalist Party) also implemented similar assimilation procedures to force Taiwanese people to speak Mandarin. This assimilation movement culminated when the Martial Law was announced in 1949. In the following 38 years, all languages other than Mandarin, such as Taiwanese and indigenous languages, were strictly forbidden. Until 1987 when the Martial Law was lifted, people gradually paid more attention to the conservation of local languages. However, according to the UNESCO report in 2009, 7 indigenous languages, such as Ketagalan, Taokas, and Siraiya, have become extinct since the 1950s. In addition, seven of the existing indigenous languages are critically endangered. Therefore, preserving the indigenous languages has become the priority for linguists and human right activists. In 1990, indigenous language instruction first began at Wulai (烏來) junior and elementary schools in Taipei County. In the following years, many cities also embarked on the curriculum planning and teacher training for indigenous language education. In 2001, Taiwanese, Hakka, and indigenous languages became one of the required subjects for elementary students and selective courses for junior high school students. The Ministry of Education (MOE), Council of Indigenous People, and schools are the major institutes concerned with the development of indigenous language education in Taiwan (Huang, 2011). They are responsible not only for designing the relevant textbooks and dictionaries but also for training teachers and holding festivals and culture events. However, over the 20 years of preserving and promoting indigenous languages, there are still some critical issues that we need to take into account (Huang, 2011; Pawan, 2009). First, the occasions for speaking indigenous language are still limited. Traditional gatherings and ceremonies are the only occasion parents and children can speak their languages. Second, parents are reluctant to teach indigenous languages to their children because they think they are useless in the Mandarin-dominant society. Furthermore, some parents cannot even speak their own mother language very well, let alone teach their children. In addition, inconsistent funding is another factor that could affect indigenous language teaching and promotion. Insufficient language teaching materials and cultural resources also hinder curriculum design. Meanwhile, while facing the pressure of high school and university entrance exams, indigenous children may no pay much attention to their mother language learning because Mandarin and English are still the two subjects in the exams they need to study hard. Both teachers and students face with dilemma between the opportunity to learn their mother tongues and important entrance exams. See Indigenous Languages. Adelaar, A. (2005). The Austronesian languages of Asia and Madagascar: A historical perspective. In A. Adelaar & N. P. Himmelmann (Eds. ), The Austronesian languages of Asia and Madagascar (pp. 1-42). New York: Routledge. Blust, Robert. (1999). Subgrouping, circularity and extinction: Some issues in Austronesian comparative linguistics. In E. Zeitoun, & J. K. Li (Eds. ), Selected papers from the Eighth International Conference on Austronesian Linguistics (pp. 31-94). Taipei: Institute of Linguistics, Academia Sinica. Lee, H. C. (2004). A survey of language ability, language use and language attitudes of young aborigines in Taiwan. In. C. Hoffmann & J. Ytsma (Eds. ), Trilingualism in family, school and community (pp. 101-117). Toronto: Multilingual Matters Ltd.
Chi, Yao-Kai. (2015). Indigenous Language Education in Taiwan . In F. V. Tochon (Ed. ), Language Education Policy Studies (online). Madison, WI: University of Wisconsin—Madison. Retrieved from: http://www.languageeducationpolicy.org (access date).